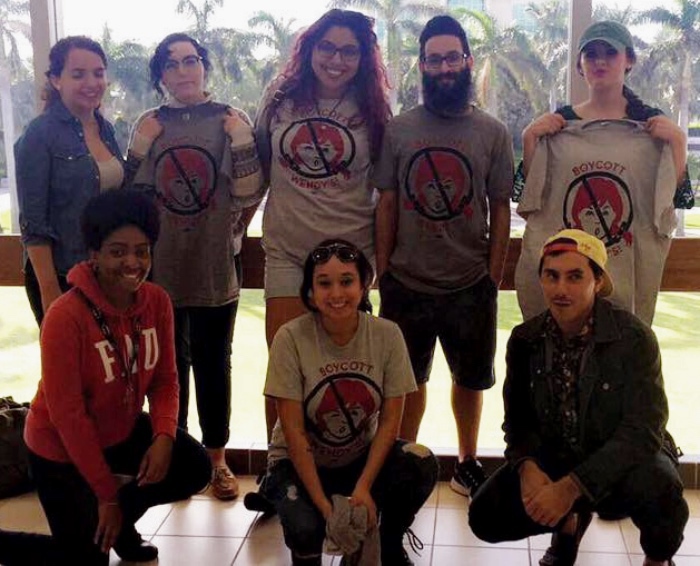 Florida Atlantic University students gather for a photo before delivering a letter to FAU President John Kelly in 2017 calling on the university to cut its contract with Wendy’s. 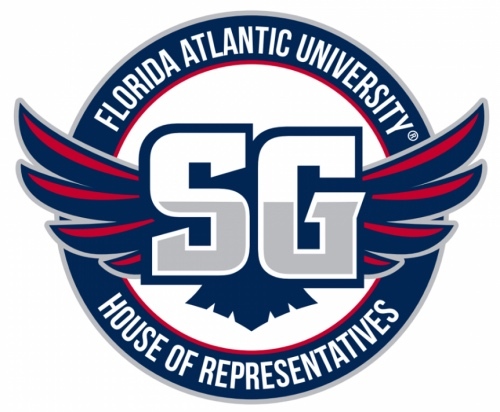 The students’ continued organizing resulted in the FAU student government voting unanimously to pass a resolution in support of the “Boot the Braids” campaign demands last week. THEREFORE, BE IT RESOLVED, Florida Atlantic University Boca Raton House of Representatives pushes the administration to now remove Wendy’s from the Boca Raton Campus at Florida Atlantic University. Last Friday, student leaders at Florida Atlantic University added their voices to the swelling chorus of student and city governments calling for universities to cut ties with Wendy’s until the company joins the award-winning Fair Food Program. Echoing sister resolutions at the University of Michigan and the University of Florida, the FAU Boca Raton House of Representatives unanimously voted to approve legislation demanding that Wendy’s be removed from the campus food court due the fast-food giant’s unconscionable refusal to open its tomato supply chain to the audits and complaint investigation process of the Fair Food Program as McDonald’s, Burger King, Subway, Taco Bell and Chipotle agreed to do over a decade ago. Since 2017, students have been tirelessly educating the FAU community, including President John Kelly, about the national Wendy’s Boycott and the egregious human rights violations that go unchecked on farms beyond the protections of the Fair Food Program. The campaign at FAU picked up steam this spring, when student organizations – including FAU Student Power, Plant Based Society, National Organization of Women and Feminist Student Graduate Association – banded together to organize a petition drive to collect hundreds of student signatures in support of the Boot the Braids Campaign. Adding to the drumbeat of support, House Representative Gabby Miernik authored a clear-cut resolution urging FAU’s administration to boot Wendy’s from campus. THEREFORE, BE IT FURTHER RESOLVED, the FAU Boca Raton campus House of Representatives will deliver this resolution to Chartwells if this resolution is passed.